Best Honeymoon Destinations in Himachal Pradesh, India is famous for its snow-capped mountains, real atmosphere, cool breeze, picture-perfect panorama, flourishing green meadows, unparalleled natural beauty and serene tourist places, all combine with the most beautiful and magnificent Himalayas to make a perfect blend for the most idealistic honeymoon destination throughout the country. The newlywed couples use to go to their honeymoon places for the seeking seclusion to understand each other and pass the quality time with each other. While the atmosphere here in Himachal Pradesh is quite romantic which enhances the mood of honeymooners. So, people usually call this state as a paradise for honeymooners. All these tourist spots of Himachal Pradesh fascinates the travelers and honeymoon couples round the year, with snow or without snow no matter at all. All these features of this state make it the most admirable and loved honeymoon destination. You could have a closer look at the nature at its best with your partner to evolve the chemistry between both of you, because this phase of your life acts as a foundation for whole of your relationship, you can make your relationship better by a grand gesture to get the point of views of your life partner while your honeymoon. And so it will always be a sweet memory for you. So for your help and guidance, we have collected some information to make a list of most famous and stunning top 10 honeymoon destinations of Himachal Pradesh better to say the top ten honeymoon destinations of India even. The capital city of and the best honeymoon destination, also known as the “Queen of Hill stations,” Shimla is the capital city and a top honeymoon destination in Himachal Pradesh. It’s stunning surroundings, and the chilly weather has filled with love! Shimla is fenced by the oak trees, pines and the rhododendron trees. It is the most popular hill-station of north India for its mall road, the ridge, the toy train, etc. The city is well-planned with colonial architecture. 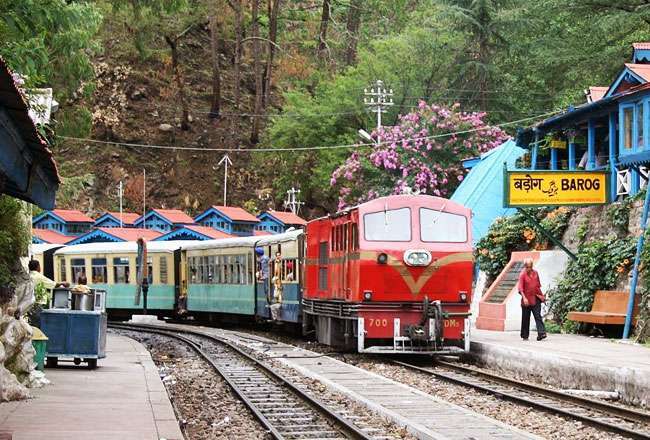 To enjoy the journey the toy-train from Kalka is the most memorable experience of life. The scenic view during the toy-train ride is “unexplainable. “ You can benefit from the snow in the region as well. This place is full of romance. 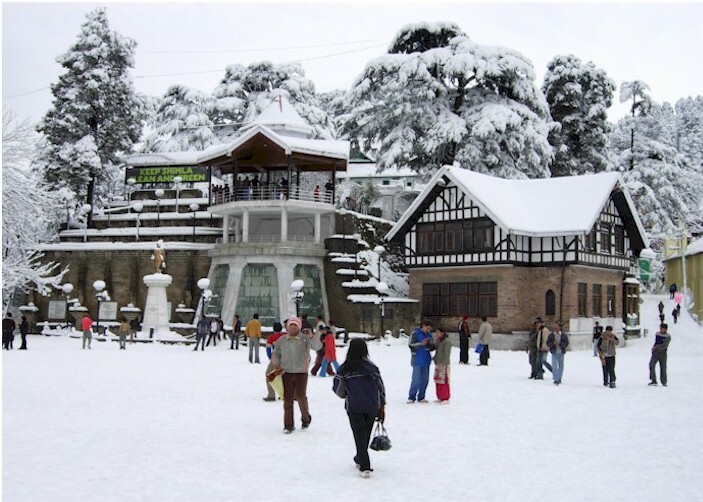 The natural beauty of Shimla helps to one of top 10 honeymoon destinations. Chail is one of the top ten honeymoon destinations in us, Himachal Pradesh in best honeymoon destinations 2017 listing. Chail is another beautifully located hill station that remains untouched by the travelers and offers more of tranquil surroundings for newly married couples. Spectacular Himalayan views, fruit laden orchards, velvety green valleys, you can see pine, and oak till the horizon – no doubt why Chail is also known as the ‘Lover’s Hill.’ Move on for romantic walks with your partner or take some photographs with each other in the dense forest and let the time stop as you make some unforgettable memories with your better half. 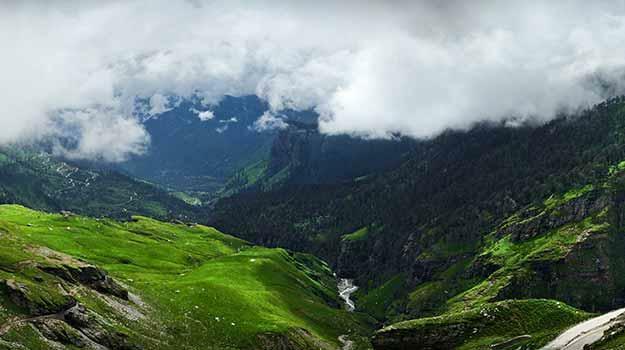 One of the best honeymoon destinations 2015 is Dalhousie which is nestled amidst snow-capped mountains of Dhauladhar Ranges with verdant green meadows. 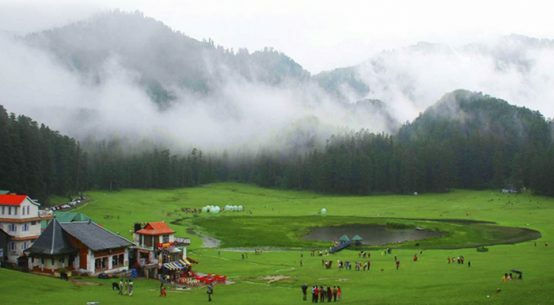 Dalhousie is another most beautiful hill station, with tranquility, situated in Himachal Pradesh. Abundant and utmost natural charm, calm atmosphere, pleasant climate is set in between five hills of Terah, Bakrota, Kathalagh, Bhangra, and Potreyn. The natural beauty and heavily influenced by colonial architecture makes it a complete package for the newly-weds to visit it and pass their quality time with each other. High mountains in the backdrop and romantic restaurants by the hillside complete the setting. Offering a tranquil and serene environment, this place is perfect for couples to spend a relaxing day with each other. 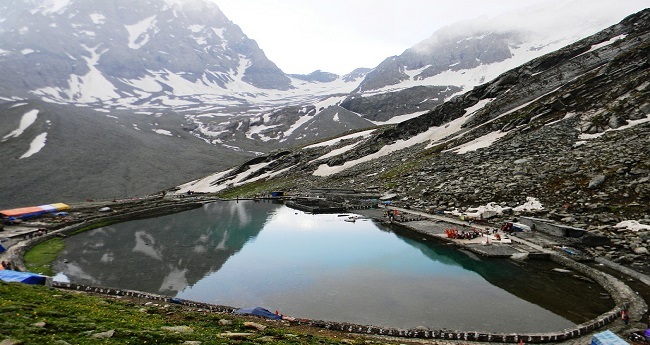 The famous tourist places of Dalhousie are Kajjiar Lake, Barkorta Hills, Dainkund peak and Kalatope Sanctuary. 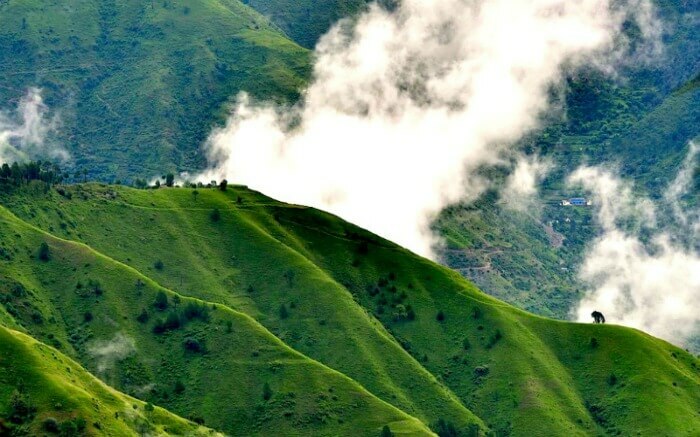 Kasauli is one of the top ten honeymoon destinations, which is the town of quaint remnants of the British Empire, and it boasts of spectacular panoramas. The environment sets the romance around your mood, and thus, Kasauli is one of the top honeymoon destinations to visit in Himachal Pradesh. A little hill station snuggled among the Dhauladhar Ranges with all around forests of pine, chestnut, and oak. The place becomes an ideal destination for best honeymoon places couples owing to its tranquil settings and solitude it offers to the newly-wed looking for a private time together to celebrate the new beginning of their life with a stay in a private and cozy cottage, watch the clouds float in the sky, enjoy beautiful views of the setting sun or while the romantic walks in the perch woods, witness the colorful birds. Kasauli is a very affordable honeymoon destination. Manali is a top honeymoon destination from Himachal Pradesh by the sparkling river Beas. Situated at high altitudes, it gives you both snow and the greens in the same town. The high altitude Himalayan resort mind-blowing city is famous for its breathtaking views, exotic experiences and gorgeous roads it has to offer to the newlyweds. Picturesque valleys covered in blankets of lush green grass and shrubs, fresh mountain air filled with the aroma of burning pines, and everything builds a perfect ambiance for honeymooners to embrace in the arms of each other. The breathtaking and unique views of the Himalayas, the spirally formed roads by the river and the less populated town is even generous in its hospitality. 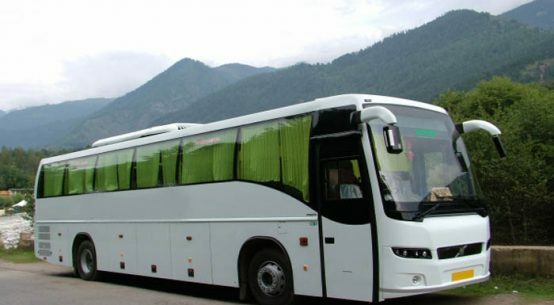 The best attraction here is the famous Rohtang pass which is the snow-clad region of the area. The Rahala Falls and Naggar castle also presents a fascinating view. The Hidimba temple and the Tibetan monasteries are worth a visit. A casual stroll in the mountains with your lover is magical. Kullu is well known now as the ‘Valley of Gods’ this charming town lies on the good river Beas. Kullu was once known as “Kulanthpitha”; ‘ The end of the habitable world.’ The first vehicle transportation was started only after the Independence. Due to the long seclusion, Kullu has considerably retained the measure of its traditional charm. 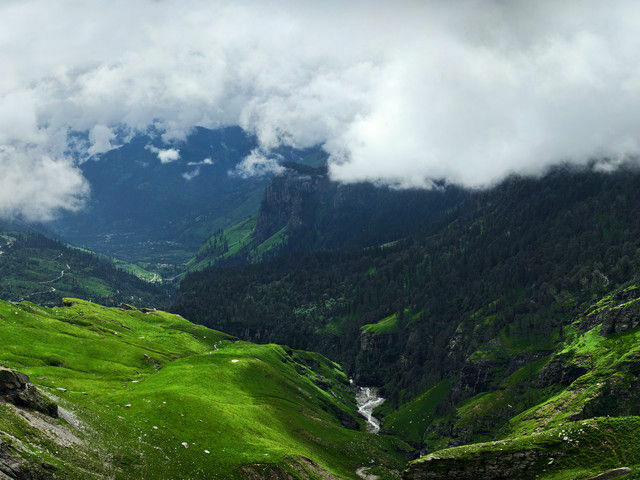 Kullu: The ‘Silver Valley’ has nature’s boon that lies carelessly scattered within on the high meadows with snow. You feel pleasure in every step you take in these enchanted valleys which energize your soul, and in every sound, you hear in the clear mountain streams. It reserves its impressive ranking in top ten affordable honeymoon destinations of Himachal Pradesh. Chamba is an ancient town in India set up on the banks of river Ravi. Chamba was well established in the sixth century and now known as one of the oldest cities in the country. Previously a former princely state. It is famous for its splendid architecture, scenic beauty and as the base for numerous excursions. The beautiful town rests on the flat terraces on the southern part of the inner Himalayas, Dhauladar and Zanskar Range. A good amount of temples and monuments for the British era offers the place an array of a cityscape. 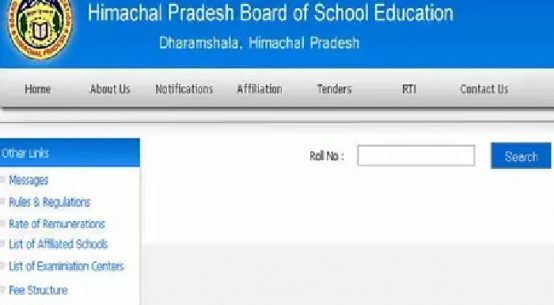 Chamba is famous around the world for its Himachali Handicrafts. 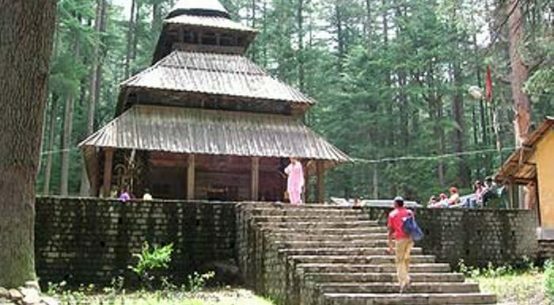 The Banni Mata Temple, Champavati Temple, and Church of Scotland are of prime importance. It’s super pleasant weather, and surroundings is a must visit in Himachal for all the lovey-dovey couples! Kinnaur, another picturesque mountainous area, famous as the Land of Gods. The cold desert mountains, lush green valleys, and its stark magnificent environment are cozy romance in the air. 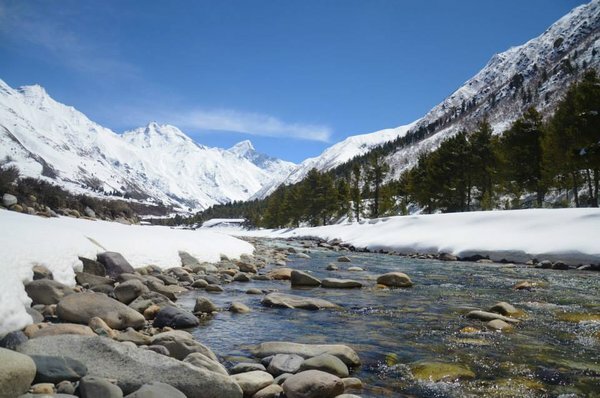 Kinnaur is an area of the snow-covered peaks, ripe orchards, cold desert mountains, lush green valley, and vineyards. Another major attraction is adventure sports like mountain climbing, trekking, etc. the place attracts all age groups equally. The bright colored dresses of the Kinnauri women and their sweet folk songs make the valley all the more bright and cheerful. Kinnaur is believed to be the place of Lord Shiva, so Kinnaur is famous for mythical reasons also. The fascinating beauty, Kinnaur is surrounded by Dhauladhar, Greater Himalayas and Zanskar ranges and share its border with Tibet. The snowy, snow-capped clad sky was touching peaks, and deserted slopes of the mountains create the place magical and mystical. 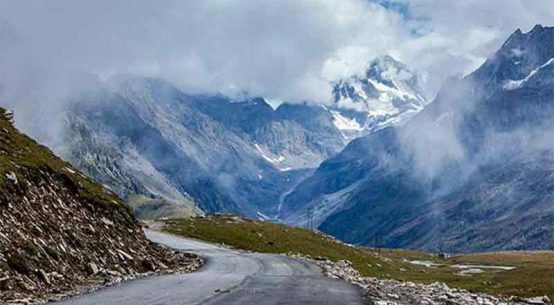 The route to the Parikrama of Kinnaur Kailash makes the people mesmerized. You will find the influence of both Indian as well as Tibetan culture on the society here. A significant number of Buddhist monasteries, temples, and monks give the place a spiritual value to Hindus with Tibetans. When you make a list of best honeymoon destinations, 2017 Kinnaur always remain on top. You cannot find any cheap honeymoon destinations in Himachal Pradesh. Solan is another picturesque destination of Himachal famous for multiple reasons. The optimum natural beauty, the serene atmosphere, snow-clad peaks that engulf this charming place is sure to leave you speechless and make a perfect memory for you to begin your love life with that special one. The snowy peaks in the background, the blue sky and the lush green meadows beneath offers you instantly fall in love with Solan. 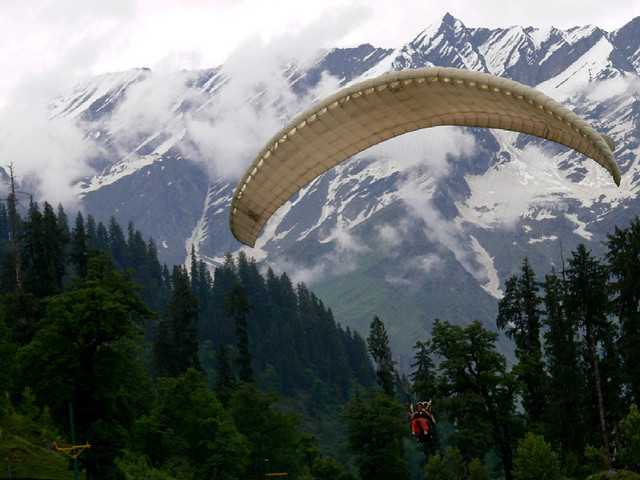 It offers adventure activities like paragliding, and trekking, etc. provide you an opportunity to enter the heaven. The specialties of Solan are the trees of wild apricots and walnut interspersed with Chir pine forests tailor-made the Himalayan rages all around you for your rejuvenation. The very famous tourist’s destinations like the Gurkha Castles, Kamru Fort, Sholoni Devi Temple, and Arki Fort, with Himachal Pradesh tours. Solan offers an affordable honeymoon destination to all the love birds. This temple town known to be housing about 81 temples might be the perfect start to your new life. Temples are not all that this place has to offer. Mandi acts as a base for many exciting excursions too. 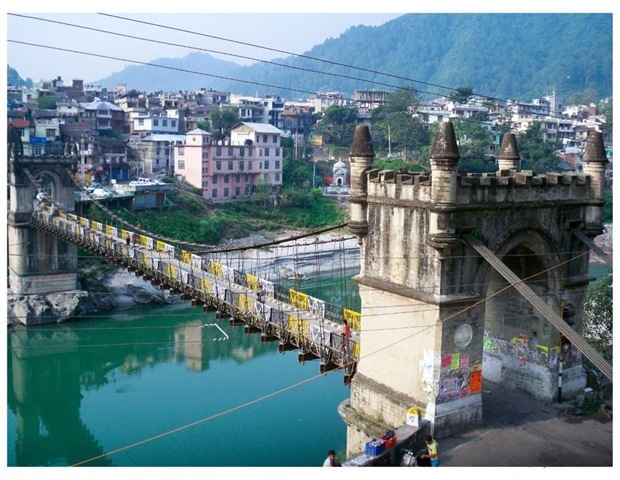 At the altitude of 800 m. and on the left bank of the river Beas, Mandi makes the lifelong impact on all the travelers. In the past, there were almost 360 forts out of which only ten are left. You can have to look at the 81 Hindu temples in the area. There are a couple of lakes to be visited. 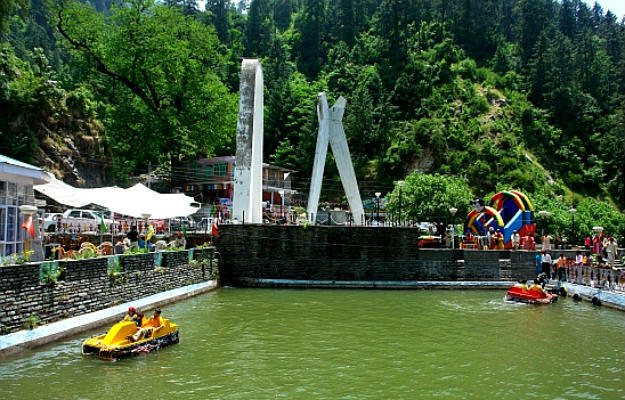 All these attractions put Mandi in top ten honeymoon destinations on tenth ranking.